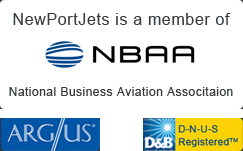 Newport Jets is recognized as a top provider of private jet travel for flights in and out of Portland, Oregon. Newport Jet’s air travel team is available now to plan your Portland jet charter service. Our experienced and professional concierge team will not only handle your jet charter flight details, but plan all details of your trip, provide ground transportation, and offer first class Portland hotel recommendations. Newport Jets has a wide variety of Portland private jets to choose from, including the Gulfstream G550 to the Learjet 31, the company has the perfect private jet aircraft for each and every trip. Our charter jet team specializes in booking jet charter flights to and from Seattle, Los Angeles, and Las Vegas – as well as hundreds of other domestic and international destinations. To make your stay in Portland, Oregon comfortable and luxurious we’ve provided some local information on hotels, private jet airports and popular attractions. Portland, known as the “City of Roses”, is the second largest city in the Pacific Northwest. The city is about 70 miles from the Pacific coast; it is situated at the confluence of the Willamette and Columbia Rivers at Vancouver, Washington. Mt. Hood, a lovely backdrop for Portland’s skyline is 50 miles to the east. Portland is known for its gorgeous scenery, music and arts scene, microbreweries and its eco-friendly urban planning. It is the largest city between Seattle and San Francisco, but even though it is a sophisticated city with outstanding urban amenities, the city retains a small town feel. The city is filled with unique shopping, hip and chic boutiques, and outstanding restaurants and gourmet delights. Portland has a lovely blend of modern and historic architecture with parks like Forest Park and Washington Park, in the hills west of downtown with a wide variety of trails, plants and wildlife near the city. Presently the city is at the lead of a greener world, with “use as needed” car rentals, green hotels and homes, and it touts one of the most efficient energy systems in the country. You’ll also find a large selection of galleries, museums, a Saturday green market, green parks and lots of history. There are world class performances to be found from the Oregon Symphony, Broadway musicals, Shakespeare and Ballet. The Heathman Hotel was named one of the “World’s Best Places to Stay” by Conde Nast Traveler, and Travel & Leisure named the noted hotel one of the “500 Best Hotels in the World”. And for 26 straight years AAA has awarded The Heathman its 4 Diamond rating. The Heathman Hotel is located in the heart of Portland’s downtown near the cultural and financial districts. The hotel is sophisticated and features luxury accommodations and outstanding service, a great blend of Portland history and modern amenities. For trendy affluence the Hotel Modera is an elegant and sophisticated hotel surrounded by art galleries, fine restaurants, museums, entertainment, and nightlife.